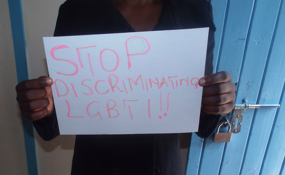 A secretive hate group is fighting to stop Swaziland having its first 'gay pride' parade. It has launched an online petition against the march organisers the Rock of Hope. The petition uses hate speech to describe what it calls the 'LGBT lifestyle' [Lesbian, gay, bisexual, transgender]. It attacked the Rock of Hope for 'promoting homosexuality'. It reported, 'HatzeOir was founded in 2001. [In 2017], a team of investigators in Spain traced links between the group and "El Yunque", a mysterious secret society that allegedly has cells across Mexico and the US mobilised to "defend the Catholic religion and fight the forces of Satan though violence or murder", according to Mexican investigative journalist Alvaro Delgado. Previously, in 2014 a judge dismissed a claim by HazteOir disputing links between the groups. 'CitizenGo describes itself as "pro-family" and a defender of life, family, freedom, and dignity. Madrid lawyer Ignacio Arsuaga, reportedly the great-grandson of the late dictator General Francisco Franco, sits at the helm of both it and HatzeOir,' the website reported. It added, it operated primarily through an online petition platform 'to push an anti-LGBTQ, anti-abortion agenda'.